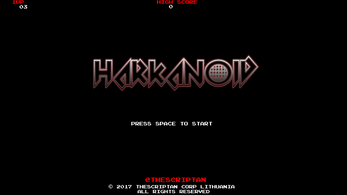 Harkanoid - An Arkanoid Clone Made Difficult! Your goal is to survive the suffering of each level. 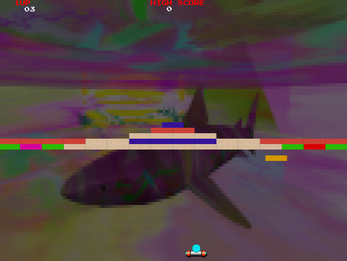 Game was designed to be challenging for the player. It tests your patience and skill. Who thought Arkanoid alike games can be so difficult. Release Date: 2017/02/26 From Release Date there will be a competition! Whoever gets first place will get to create a whole new level in the game! 2. Keyboard/Mouse Control support. You pick the controller before the game starts. 3. 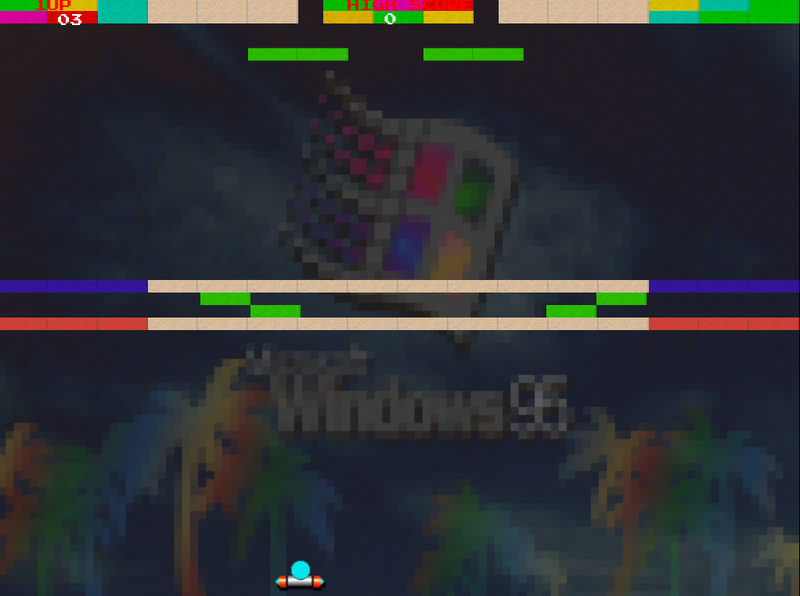 Now multiple hit bricks have different sprites. So whenever it is damaged, you will be able to distinguish the damaged brick. 7. 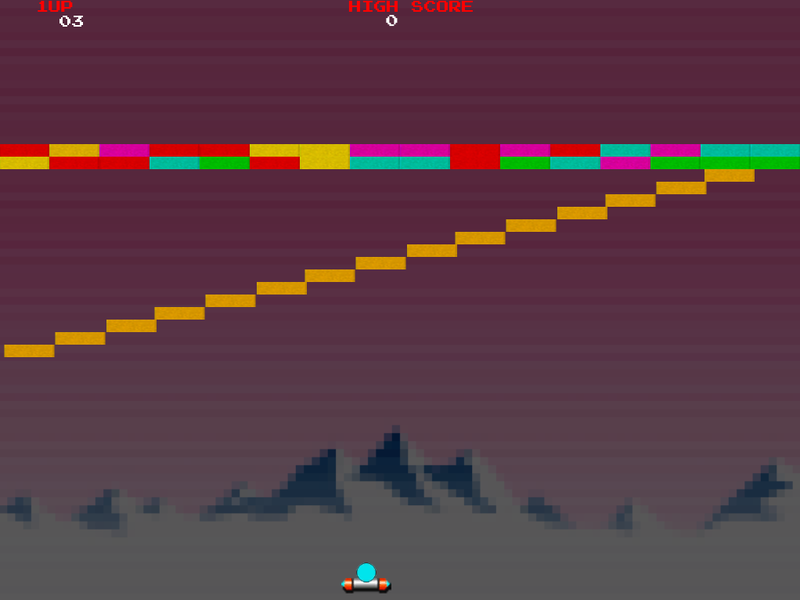 Every level your paddle gets smaller so it becomes difficult in the last levels. 8. Two New themes that are selected randomly when the game starts + every time level changes, theme is randomly selected too. 7. 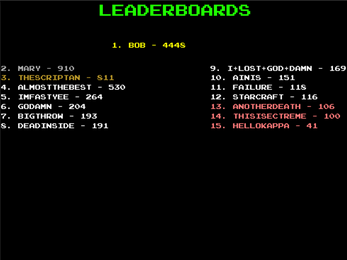 Improved leaderboard screen formation. 8. Cursor now is hidden and appears only when you need to click the Input Field. 1. Ball speed fluctuation fixed. 2. Fixed Aspect Ratio Issues. Now 16:9;16:10 is supported, but 4:3 is not. 3. 2nd Ball doesn't spawn anymore and if it does, it wouldn't subtract your lives if there are two balls existing. 4. Death Particles now spawn on paddle position rather than in bottom left. 5. Previously particles weren't destroying itself, but now they do, so less lag. Funny ,never saw a game with my nickname wich i have almost 15+ years! No idea how I ended up here but very happy that I did! Great job! Many remakes or renditions (of one of my all-time favorites) are simply horrible. Yours however immediately caught my interest and couldn't stop playing (until I reached the end :-( ) . It seems you have every aspect covered from the physics and game play to level design and creativity. Great work and I look forward to the full-version. My only suggestion would be to include a "mouse sensitivity option" if that is possible...not necessary but would find it helpful. It could be that it is way too early for me so disregard if this is the case but the keyboard controls didn't seem to work for me. 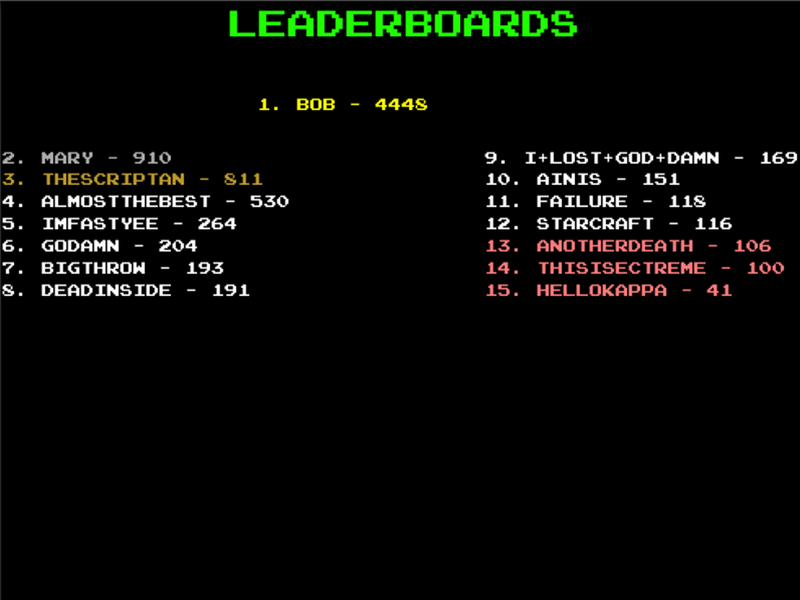 The only button that worked was to show high-scores. This has potential! With a few improvements, more levels and a good difficulty curve, I could see playing this as an occasional timewaster. Had to manually set the Linux executable as runnable, though, as it was packaged in zip. 50 Downloads as of now! Thank you for your support! Don't forget that full version will be released on 2017/02/26 ! It will contain many improvements, new content and of course new levels!